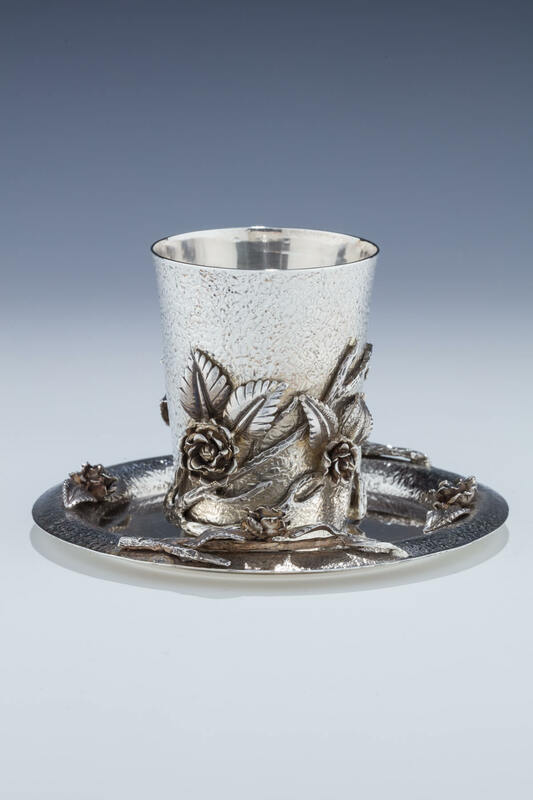 A SILVER KIDDUSH CUP AND UNDERPLATE BY HERSHEL PIKKAR. Crown Heights, c. 1990. Decorated with applied roses and petals. Cup 3.2” and plate 5.5”.